Kegco's KOMC1S-1 Commercial Kombucharator has been specially designed with everything you need to dispense a Cornelius keg of kombucha, a nutritional probiotic tea packed with compounds that support your digestive and immune systems, detoxify, energize, clarify your skin, prevent disease, and elevate your mood. Equally at home in a trendy restaurant or you very own kitchen, this kombucha dispenser is durable enough to withstand the abuse of retail environments yet small and portable enough to be ultra-convenient in residential use. 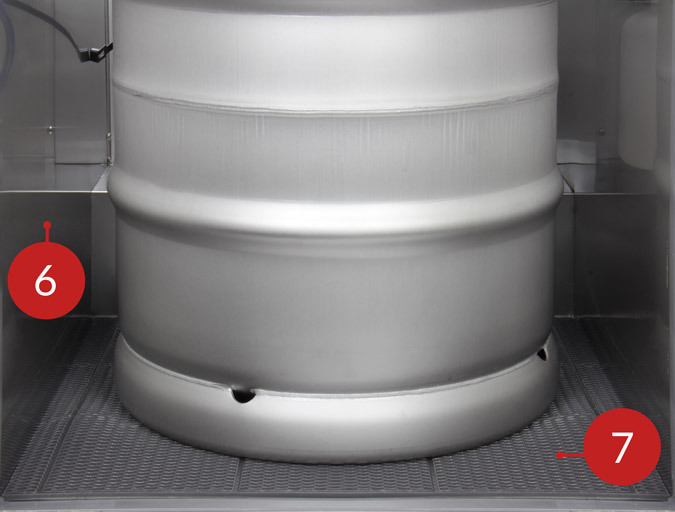 It has been ETL and ETL Sanitation Listed and is NSF Compliant, ensuring that it meets the requirements of widely accepted safety standards for kombucha keg dispensers. 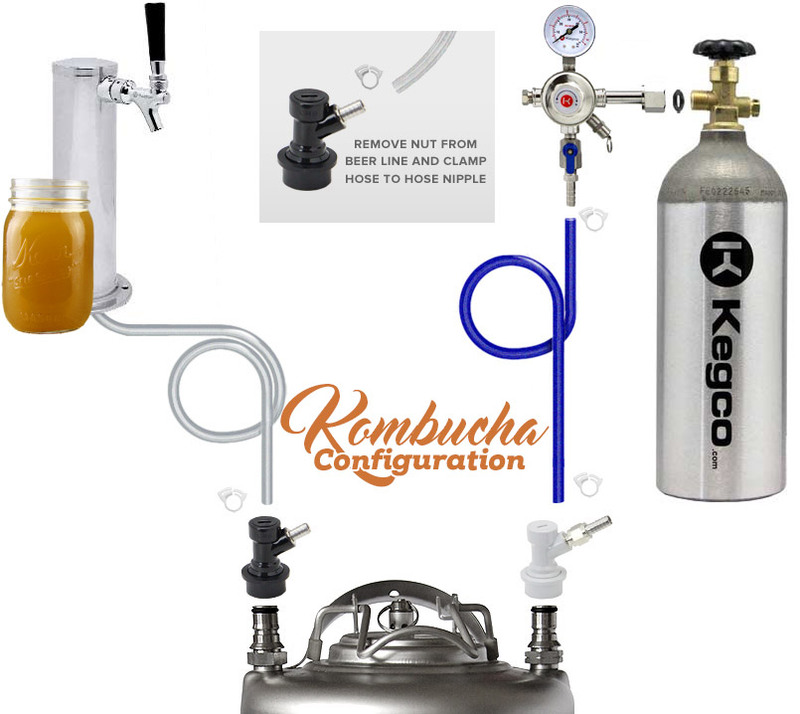 Boasting a complete kombucha keg dispense system, the KOMC1S-1 is perfect for small business owners who want to start offering delicious kombucha on tap and kombucha enthusiasts dreaming of enjoying their favorite beverage by the keg. This kombucha dispenser is easy to use thanks to 4" locking casters, and a built-in drip tray and steel interior make clean-up fast and simple. 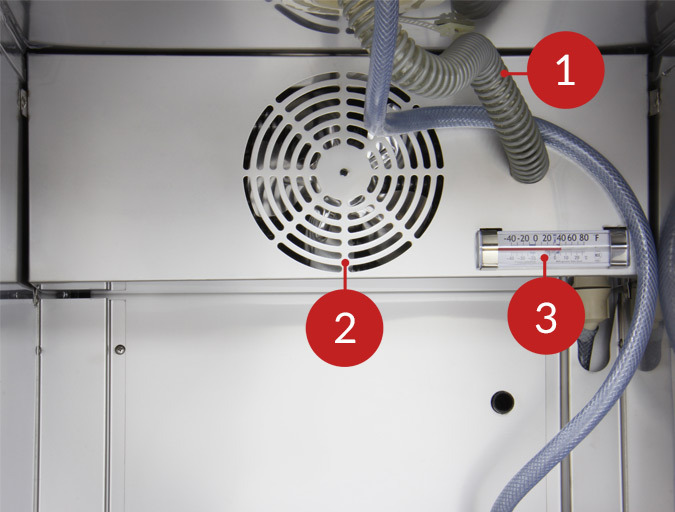 A 1/7 hp compressor delivers superior cooling, and cool air is fan-forced into the tower to keep your kombucha cold all the way up to the faucet. This kombucharator comes with everything you need to tap a ball lock Cornelius keg, including a draft tower with a stainless steel faucet and fittings, a set of ball lock keg couplers for Cornelius home brew kegs, a single gauge CO2 regulator, and an aluminum CO2 tank. One 5 lb. 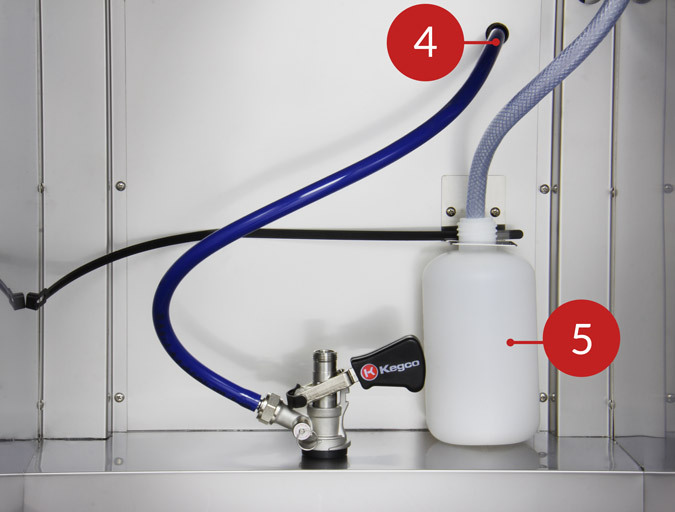 tank can pressurize up to fourteen 5-gallon kegs before needing to be refilled. The faucet is made of durable and sanitary stainless steel, and the ball lock keg couplers are food grade plastic and are designed to prevent corrosion.